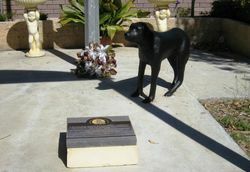 The monument commemorates eleven black labrador dogs who saved soldiers lives in the Vietnam War. 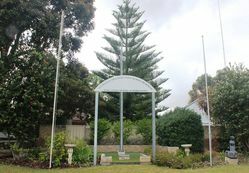 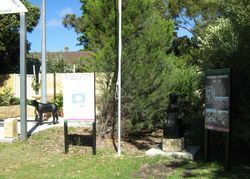 It was re-dedicated in October 2008 to all dogs that have worked in the service of the nation. 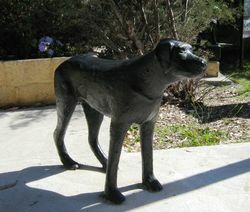 Eleven black Labrador tracker dogs were used by the Australian Task Force in the Vietnam War. 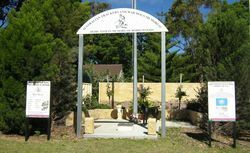 It was Australian Army policy that the dogs not be brought home at the end of their service. 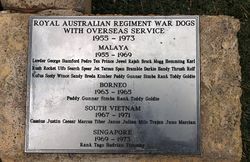 The dogs were the core of Combat Tracker Teams that were used from 1967 until the last combat troops left in late 1971. 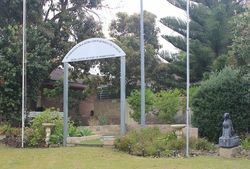 Trained from the age of about 10 months at the Tracking Wing of the Ingleburn Infantry Centre in New South Wales, two dogs were assigned to each of the Australian battalions based at the Task Force base at Nui Dat, in Phuoc Tuy Province. 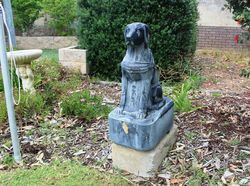 The fate of Australia`s war dogs, once their service came to an end in Vietnam, caused consternation in Army circles and anguish to their handlers. 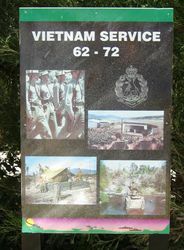 After much discussion about the issue, and with the matter having been raised in Parliament, the Army decided in 1968 that at the end of their working lives the dogs would be kept by the battalion as a reserve, then given as pets to European or Australian families resident in Saigon. 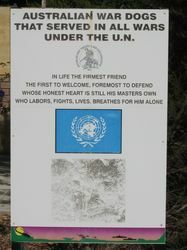 Only as a last resort, if no home could be found, would they be destroyed. 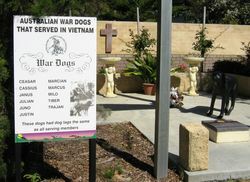 In the event, none of the 11 dogs who served in Vietnam was put down, with homes being found for the ten who survived. 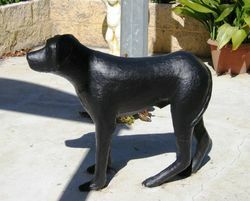 Man`s best friend throughout the ages. 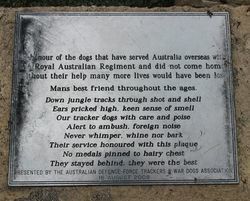 In honour of the dogs that have served Australia overseas with the Royal Australian Regiment and did not come home. 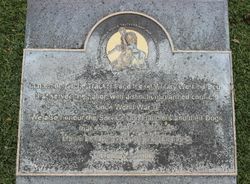 Without their help many more lives would have been lost. 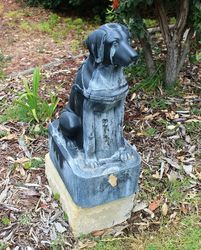 Mans best friend throughout the ages.